It might be time for a cleanse. Last week I had several delicious and incredibly gluttonous culinary experiences that left me feeling both satisfied and bloated. I try to live life with few regrets and I would never claim to regret ANY of these tasty choices. However, our choices have consequences. And after last week's indulgences, let's just say, a bikini is probably not in my future. This is the half of the sandwich I didn't eat! 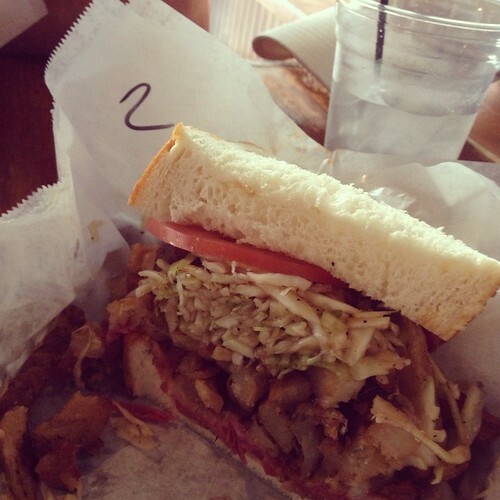 The Two-Bagger is a combination of corned beef and pastrami served with tomatoes, fries and a heaping helping of perfectly sour vinaigrette coleslaw between two pieces of white bread. It was monstrous and it was fantastic. I didn't even consider digging into the second half. BUT for those braver than I, Lucky's has a challenge that was featured on Man Vs. Food. To complete the challenge you must eat three sandwiches like this in an hour! WHAT?!? Our meal was served from behind bullet proof glass. You have to have respect for a restaurant that sticks two pieces of white bread at the bottom of the boat to sop up the grease and sauce. 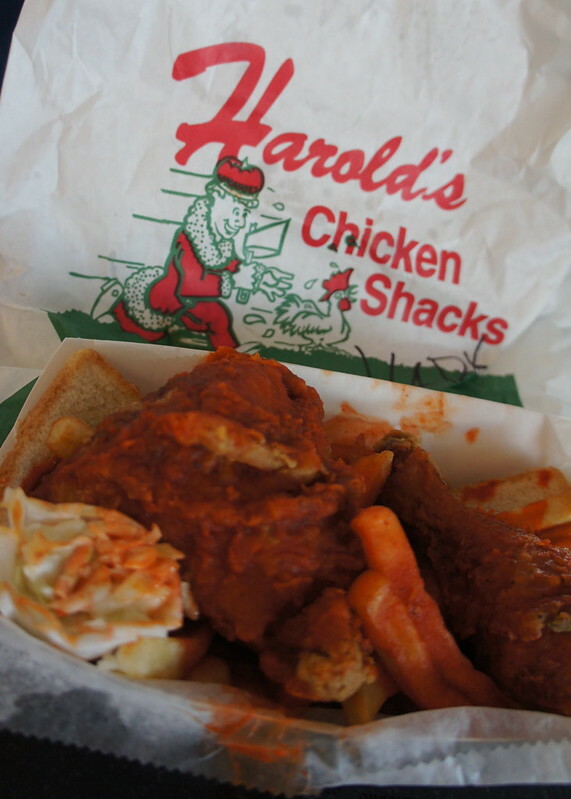 Harold's is an institution for a reason. That was some good fried chicken. Please understand, this pretzel box covered my lap. It was enormous. 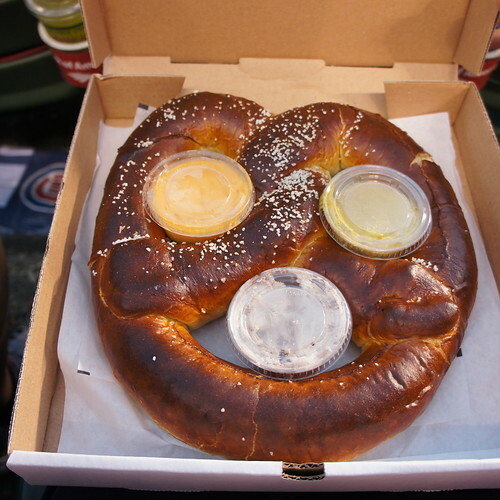 Served with cheese, mustard and cinnamon icing, the Northside twist at Wrigley Field kept a smile on my face even while the Cardinals were getting their butts kicked. Even with three of us sharing, we only made it through 2/3 of this beast. But thinking of that cinnamon icing is making me wish I had the rest to devour right now. What gluttonous adventures have you taken lately?